The Cold War with the Soviet Union came to an end around 1991 with the fragmentation of the USSR. How did the Cold War affect Maidenhead? And what happened afterwards? 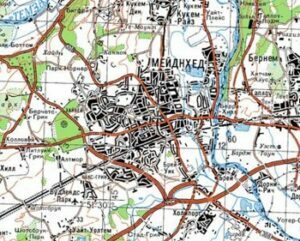 The Soviet General Staff (the “Genshtab“) ran an operation that produced tens of thousands of maps of their own country and the whole world. Using the technologies of the time, around 100,000 people were employed in “research” (spying) and map production. The maps are of a very high standard, attractive as cartographic objects, and often contain elements that were suppressed on Western maps. 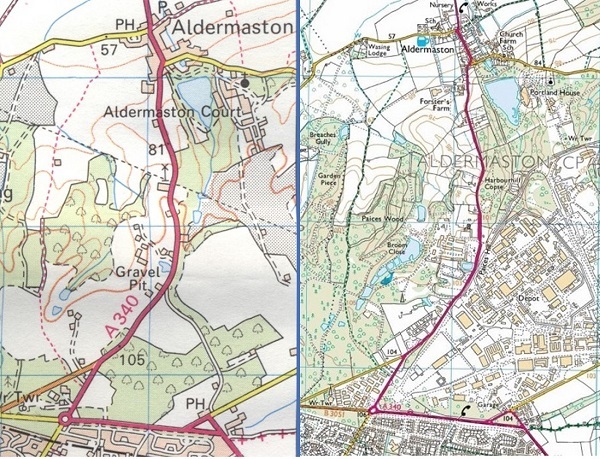 Aldermaston Atomic Weapons Establishment – Ordnance Survey maps. During the chaos of 1991, previously-secret military maps were being sold for dollars – allegedly $250,000 for one truck-load. Russian leader Boris Yeltsin then released the whole archive into the public domain. It is not known how much material was irrevocably lost but scans for around 120,000 sheets have been located, ranging from city plans to series 1:25,000 and upwards. In 2017, these remain some of the best maps available of remoter parts of the globe. The Soviet 1:100,000 series covered most of Eurasia, including the British Isles. Click on the image below to see what the Soviets knew about us. It appears to have been based on OS material from the mid-1970s.